CAT-Law Navigator: What's in a Name? The early activity and several projected large storms may spur memories of seasons past where names like Andrew, Hugo, Alicia, Francis, Jeanne, Wilma, and Katrina made history and left a mark in the minds of many. Given the immediate reaction elicited by some of these names, one may wonder why and how weather events tome to be named. The main purpose in naming a tropical cyclone/hurricane is to facilitate tropical cyclone/hurricane disaster risk awareness, preparedness, management, and reduction by associating each event with a name that makes it easy to understand and remember the tropical cyclone/hurricane in a region. The shift to naming storms to assist with dissemination of information and encourage preparedness came in the United States between 1953 and 1979, during which time female first names were used to identify storms and then names associated with both genders were adopted. Despite a common misconception, the National Hurricane Center does not control the naming of tropical storms. The World Meteorological Organization establishes the storm naming procedure. 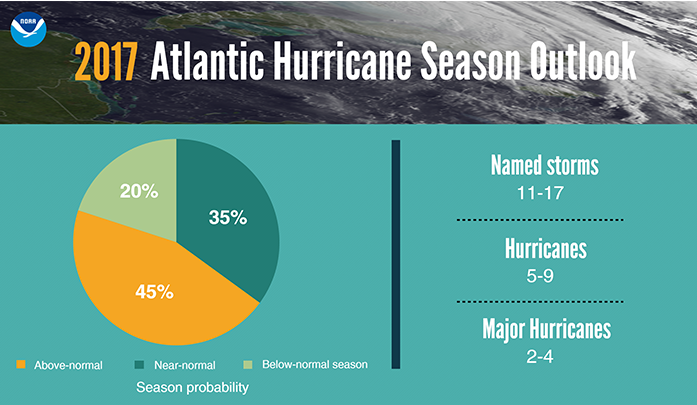 For Atlantic hurricanes, there is a list of male and female names which are used on a six-year rotation. The only time that there is a change is if a storm is so deadly or costly that the future use of its name for a different storm would be inappropriate. If more than twenty-one named tropical cyclones occur in a season, any additional storms will take names from the Greek alphabet. Tropical cyclones/hurricanes are not named after any specific person, the tropical cyclone/hurricane names selected are those that are familiar to the people in each region. Storm naming has other implications beyond the dissemination of tracking information. It also affects claim adjustment preparedness. The existence of a named storm may trigger the application of certain wind deductibles – wind/hail deductibles and hurricane deductibles. Hurricane deductibles typically apply to hurricanes and named storms, which is when the naming of a weather event becomes a significant factor in the adjustment.. The other type of wind deductible is the wind/hail deductible which typically applies to any kind of wind-related damage. According to the Insurance Service Office (“ISO”), hurricanes and tropical storms caused approximately $158.6 billion in insured losses (in 2015 dollars) in the United States from 1996 to 2015. 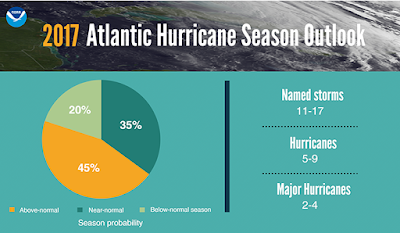 Therefore, understanding the implications of named storms becomes a critical component of claim management and risk projection – another form of preparedness during hurricane season.